Dimensions: 6 x 7-3/4 in. Envelope with acetate window, 16 writing sheets and 16 envelopes (4 color designs repeating 4 times), sticker sheet. 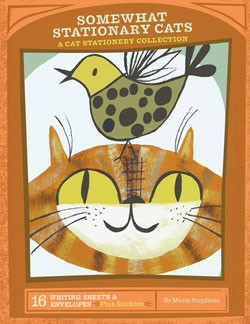 Featuring artist Matte Stephens, this deluxe mix and match collection is perfect for all kinds of correspondence.